What a difference one season can make. A year ago, the Hearst Lumberjacks used seven different goalies en route to a fifth-place finish during the regular season and a quick ouster in the preliminary round of the playoffs. 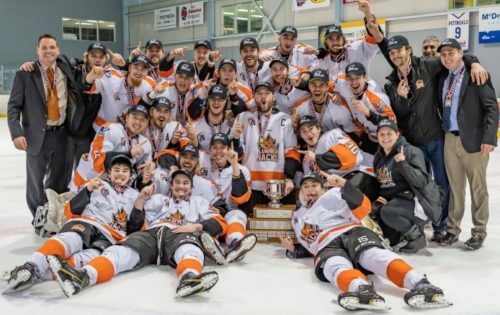 A small-market franchise in only its second season of existence — with a town population of about 5,000 — the Hearst Lumberjacks are the champions of the Northern Ontario Jr. Hockey League. It was before the start of the playoffs in the Northern Ontario Jr. Hockey League and I was having a casual chat with commissioner Rob Mazzuca. 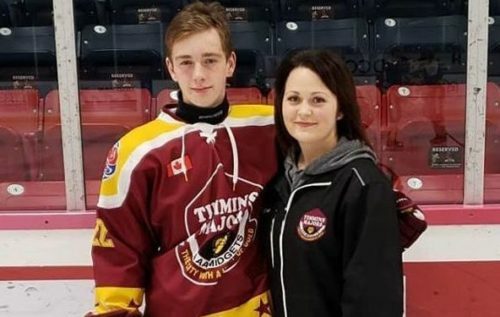 Timmins Majors of the Great North Midget Hockey League have signed nine players ahead of the 2019-2020 season including six returnees and three newcomers. 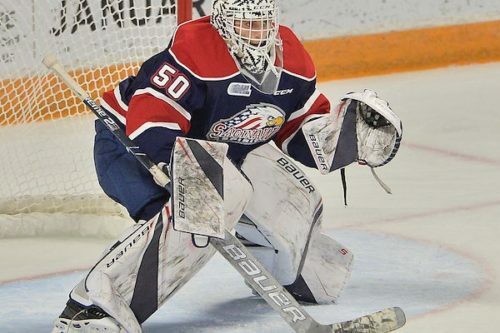 Saginaw Spirit will have to do without starting goalie Ivan Prosvetov and overage defensemen Justin Murray via lengthy suspensions handed down by the Ontario Hockey League today. He was a steady, stay-at-home defenseman who took a long and winding road from Sault Ste. Marie and back again to play four full seasons of hockey at the Division 1, National Collegiate Athletic Association level. Trade deadline acquisition Ryan McLeod scored just before the seven-minute mark of overtime tonight as the Saginaw Spirit upended the Guelph Storm by a 4-3 margin. There is light at the end of the Ontario Hockey League tunnel that leads to Flint. 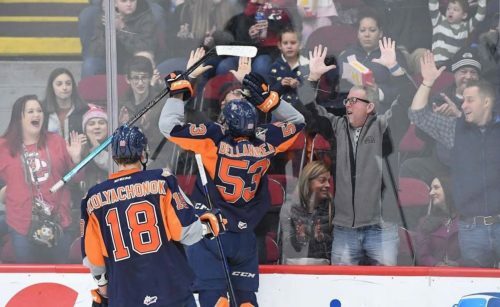 If the second half of the 2018-2019 season can be used as a measuring stick, expect the Flint Firebirds to make big gains in the OHL standings in 2019-2020. Attention hockey players from northern Ontario: Cochrane Crunch owner-general manager-coach Ryan Leonard is extending an invitation to attend an upcoming main camp. Back-to-back home ice victories have given the no. 2 seed Hearst Lumberjacks a three games to one lead on the no. 1 seed Soo Thunderbirds in the Northern Ontario Jr. Hockey League championship series. It is official, as with a signature. Sault Ste. 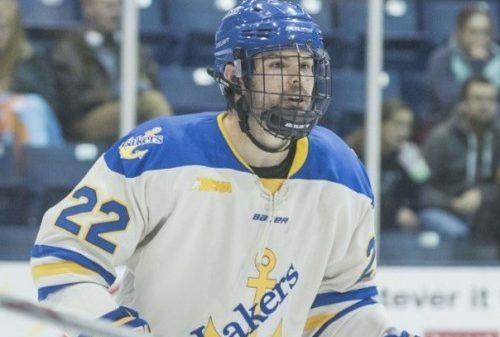 Marie product Jack Matier has signed with the Ottawa 67’s of the Ontario Hockey League. 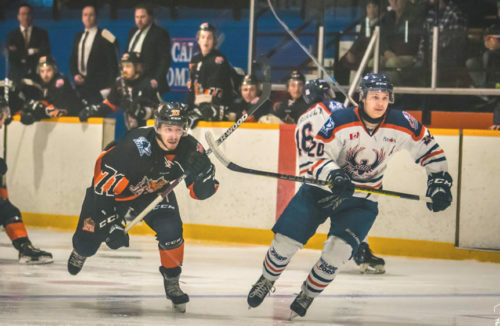 A 3-2 win before 837 fans at Claude Larose Arena has given the Hearst Lumberjacks a two games to one lead on the Soo Thunderbirds in the Northern Ontario Jr. Hockey League championship series. 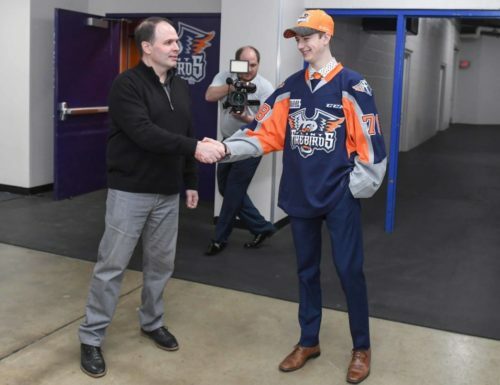 EDITOR’S NOTE: In this Hockey News North special report, Dominic Hennig assists us as we take a look at the 15 players — 10 forwards and five defensemen — who were taken by the Flint Firebirds at the recent Ontario Hockey League priority selections draft. 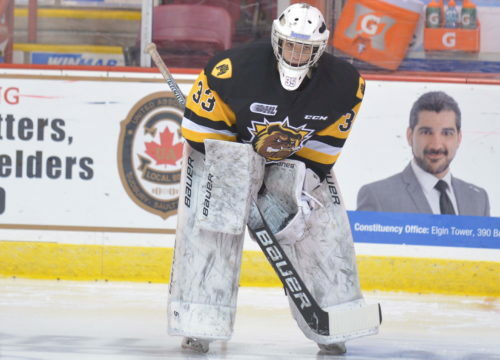 The first overall pick from the 2018 priority selections draft has gone on to become the Ontario Hockey League rookie of the year. 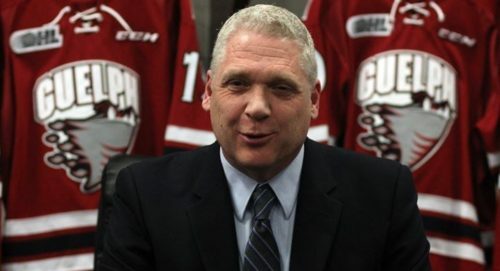 Low-key coach George Burnett and the Guelph Storm completed an improbable Ontario Hockey League comeback tonight with a 6-3 road win over the London Knights to advance to the Western Conference finals. Soo Pee Wee Major AA Jr. Greyhounds have returned home from the Ontario Hockey Federation championship tournament wearing silver medals. From a pressure-packed Northern Ontario Jr. Hockey League playoff game to an elimination match in the Ontario Hockey League, the tension was ticking on a Sunday in Sault Ste. Marie. Goalie Ivan Prosvetov stood tall — all 6-foot-5 of him — and Saginaw Spirit blanked the Soo Greyhounds 5-0 tonight to advance to the Ontario Hockey League Western Conference championship series for the first time in franchise history. Motivated by multiple mammoth saves by goalie Nick Tallarico early on and when the score was close, Hearst Lumberjacks eventually hustled their way to a 7-3 road decision over the Soo Thunderbirds tonight. Soo Greyhounds and Guelph Storm have refused to pack it in. Both teams extended their Ontario Hockey League playoff sets with Friday night road wins. 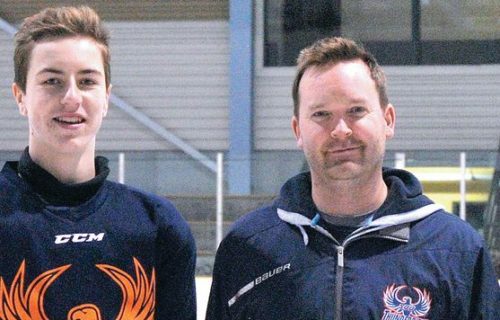 Kapuskasing Flyers of the Great North Midget Hockey League have put a new man in charge ahead of the 2019-2020 season. Through two businesses that she owns and operates, Lisa Tremblay plays a prominent role in the northeastern Ontario hockey town of Timmins. There will be a tomorrow. Soo Greyhounds have forced Game 5 in their Ontario Hockey League playoff series with the Saginaw Spirit. 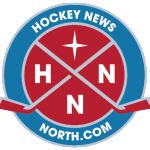 Hockey News North is working at trying to set up a major midget hockey mini-tournament that would tentatively be slated for the August 23-25 weekend in Sault Ste. Marie, Ontario. Soo Greyhounds used the 37th overall pick in the second round of this evening’s Ontario Hockey League under-18 draft to select goalie Noah Zeppa from the Soo Major Thunderbirds of the Great North Midget Hockey League. A sure sign of a strong team is one that can stare the winds of adversity straight in the face and not blink. Saginaw Spirit was the epitome of resolve in overcoming an early 3-0 deficit in enemy territory on Tuesday night. 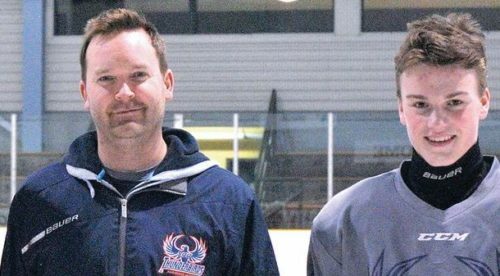 It will be the first-place teams from the East Division and the West Division facing off for the Northern Ontario Jr. Hockey League championship. 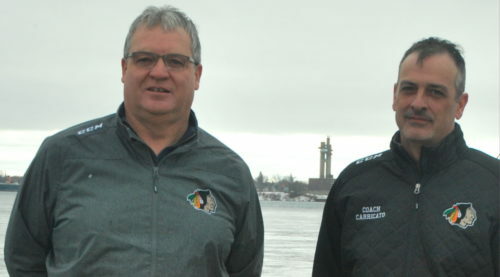 Call it an accomplished achievement under the Northern Ontario Hockey Association umbrella. No less than 14 players from the NOHA’s Great North Midget League were among those chosen at the 2019 Ontario Hockey League priority selections draft. First star Nick Porco tallied twice and added two assists and fellow Sault Ste. Marie product Camaryn Baber found range once as the Saginaw Spirit sped past the Soo Greyhounds 10-1 tonight in Game 2 of their Ontario Hockey League playoff series. A third member of the Soo Minor Thunderbirds of the Great North Midget Hockey League was taken at today’s Ontario Hockey League priority selections draft. Cornerstone defenseman Tyler Dunbar has become the highest-selected player from the Michigan side of the International Bridge at Sault Ste. Marie to ever be drafted into the Ontario Hockey League. Soo Minor Thunderbirds defenseman Tyler Dunbar has become an Ontario Hockey League draft pick of the Flint Firebirds. 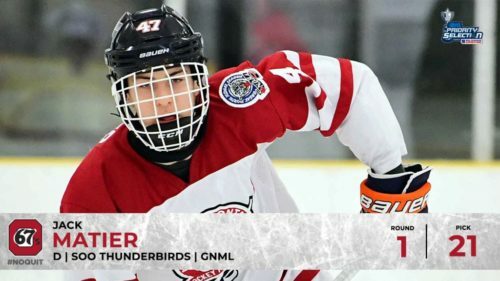 Defenseman Jack Matier, who starred for the Soo Minor Thunderbirds of the Great North Midget Hockey League in 2018-2019, has become an Ontario Hockey League draft pick of the Ottawa 67s.